Mixmash RecordsLaidback Luke, Sunnery James, Hardwell, and Ryan Marciano. 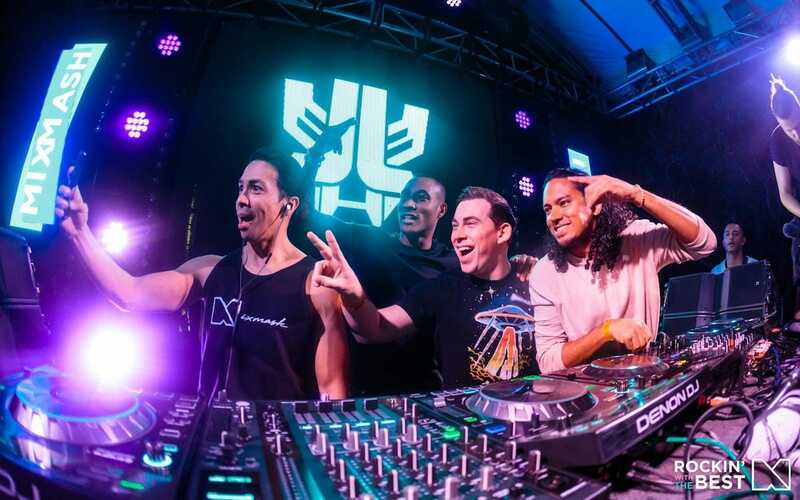 Olga Heijns, who manages high-profile dance music artists like Laidback Luke and Blasterjaxx, told Business Insider the death of Swedish DJ Avicii in April has “accelerated change” in the industry. Avicii’s death was by suicide. Two years prior, he had retired from touring after repeatedly warning that the lifestyle was going to kill him, but that he was being pressured to continue. A number of other dance artists, including Laidback Luke, have publicly experienced “burnout” and have even quit the tour circuit because of it. A 2016 study showed that 69% of musicians had experienced depression, while 71% have had panic attacks and/or high levels of anxiety. This is heightened in the Electronic Dance Music (EDM) world, where artists get little sleep and play shows year-round. 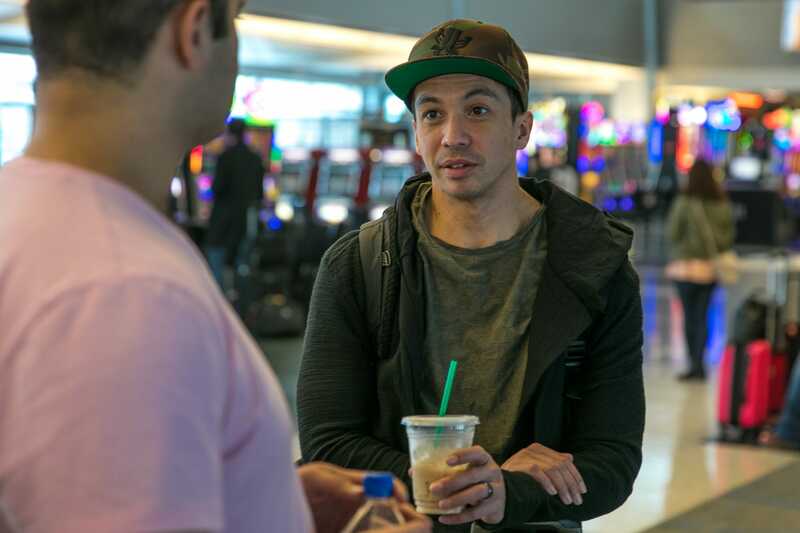 However, he believes there should be guidelines on how many shows a DJ can play and how many flights they can take. My memory of Avicii, the Swedish DJ and producer who was found dead in Oman in April, is a good one. During my final year at Western University in Ontario, Canada, I went to one of his shows with some friends, dressed in neon and wearing sunglasses at night like an idiot. The atmosphere – and the music – were euphoric, and his energy on stage was contagious. It was the one and only time in my life I experimented with drugs. I got home at around 4 a.m. covered in sweat, took a shower, and slept until what must have been mid-afternoon the next day. It was the type of night most people have once or maybe a handful of times before getting on with their life. But for EDM DJs, this lack of sleep, demand for energy, and even involvement in drugs and alcohol can happen every night. Olga Heijns, who looks after high-profile dance music artists through her management company Unmanageable Artists, knows this all too well. 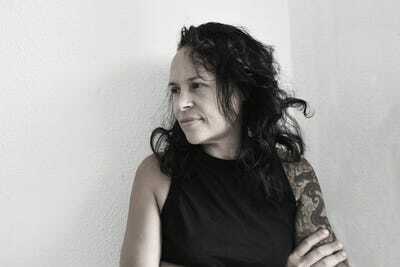 Heijns’ career in music saw her work in promotion and for labels like Colombia Records before she entered the world of management in 2001. Over the years that followed, she developed a number of other businesses – including a booking agency, a publisher, and her own label, Mixmash Records – but is now focused mainly on artist management. Throughout her time in the industry, she has seen a number of her artists experience “burnout” from the lifestyle – including Dutch DJ and record producer duo Blasterjaxx and fellow Dutch DJ and music producer Laidback Luke, an artist she currently works with who was a close friend and mentor to Avicii, real name Tim Bergling. Rich Polk / GettyDJ Avicii performs onstage during Rolling Stone Live SF with Talent Resources on February 7, 2016 in San Francisco, California. In a documentary titled “Avicii: True Stories,” released in October 2017, he repeatedly warned that the touring lifestyle was going to kill him, but that he was being pressured to continue. “There’s a huge difference between [artists in the dance space] and artist in the pop/rock/hip hop scene,” Heijns told me. For starters, she said that other artists are used to a more cyclical life. “If they’re successful, they will have a two year tour, come off the road, spend Christmas, holidays, and birthdays with family back home, take some time off, then go back into the studio,” she said. “There’s an end to it. Because of this, she said a lot of dance artists have the idea that they can’t miss out. It often goes unsaid that it’s not just the artist who experience the pressure, but also their teams and managers – like Heijns – too. “The professional team to a certain extent are suffering from strenuous demands,” she agreed. Santiago Bluguermann/Getty ImagesHardwell performs during the first day of Lollapalooza Buenos Aires 2018 at Hipodromo de San Isidro on March 16, 2018 in Buenos Aires, Argentina. It’s not always obvious when the pressure is becoming too much for an artist until it’s too late, according to Heijns. She represented Blasterjaxx at the time when Idir Makhlaf from the duo made a public statement saying he was coming off the road due to panic and anxiety attacks. She said while there was an “overwhelming response” to his statement that he would no longer tour, certain people in the industry clearly didn’t understand. “Certain promoters were saying ‘If you make a goodbye gig I’ll pay you X, Y, Z,’ using it to try and negotiate something out of this,” she said. 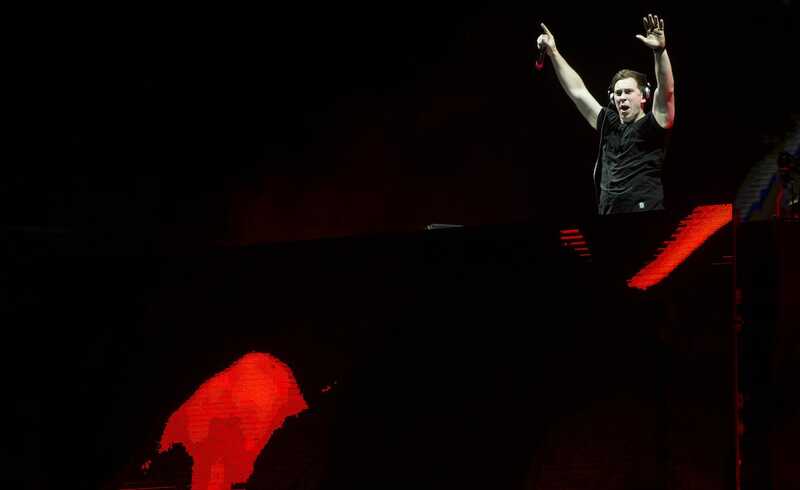 Heijns said Hardwell “seemed in great spirits” and had said he was working out and taking time off. According to a study of 2,211 musicians published by UK charity Help Musicians in 2016, 69% of respondents had experienced depression, while 71% have had panic attacks and/or high levels of anxiety. The study also found that musicians may be up to three times more likely to experience depression than the general public. A separate Help Musicians UK study of 500 participants found that the stressors that could impact a musician’s mental health included lack of sleep, consistency, and proper diet, physical conditions, performance anxiety, fear of judgment, loneliness, discrimination, bullying, and familial problems. In a blog post for Psychology Today, Susan Biali Haas, M.D. wrote that the two conditions can overlap – but for a person to be diagnosed with burnout, three components need to be present. 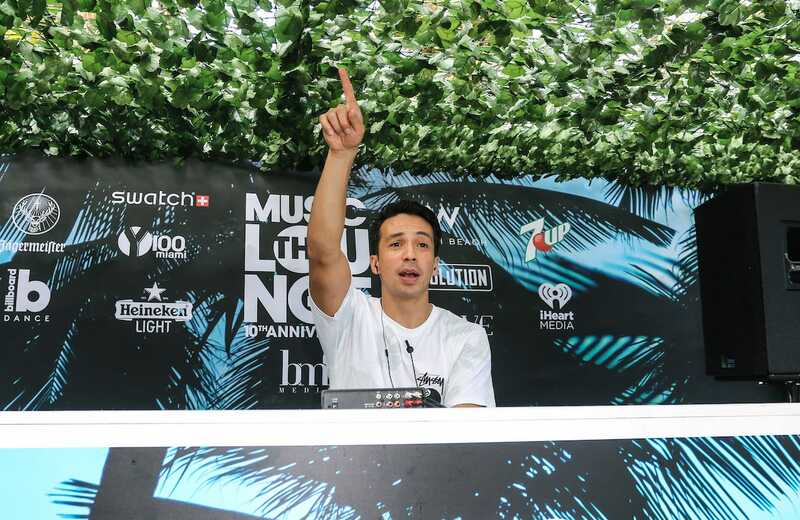 Having already suffered from two burnouts in his life, Laidback Luke – another artist I witnessed on stage during my university days – recently reached his threshold once again. “I was always the kid that would say burnouts are for sissies, that’s not going to happen to me, [but] after half a year or a year of not sleeping… not eating well, I finally hit my threshold, [and] all I could do is lay in bed for two weeks feeling major anxiety,” he told me. 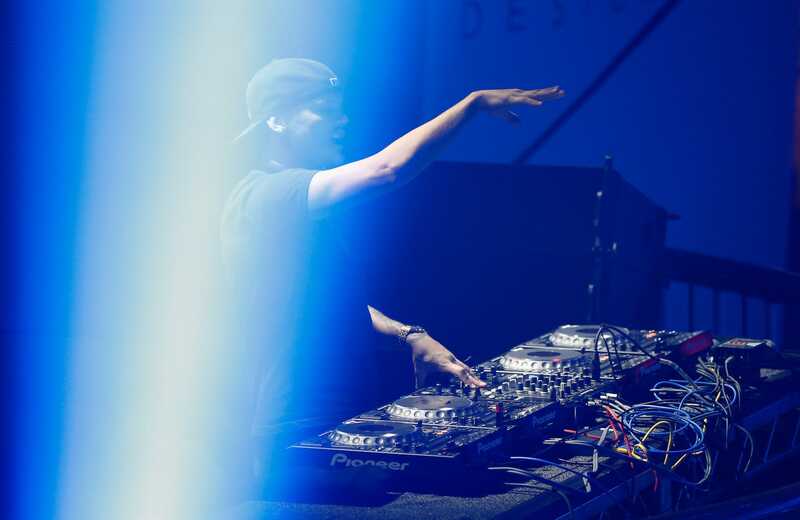 His most recent burnout, however, started after the death of Avicii, to whom he was close. “All of a sudden I would be in regular environments, I would get chills or tinglings inside of my body… [They would keep] on building a little bit,” he said. He began to have “huge panic attacks” as well. Heijns added that she didn’t see it coming. Laidback LukeLaidback Luke (left) with Avicii (right). 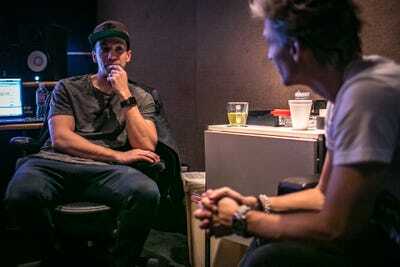 Avicii had joined a forum for young artists and producers set up by Luke, who Heijns called “a coach to all these kids,” at a young age. 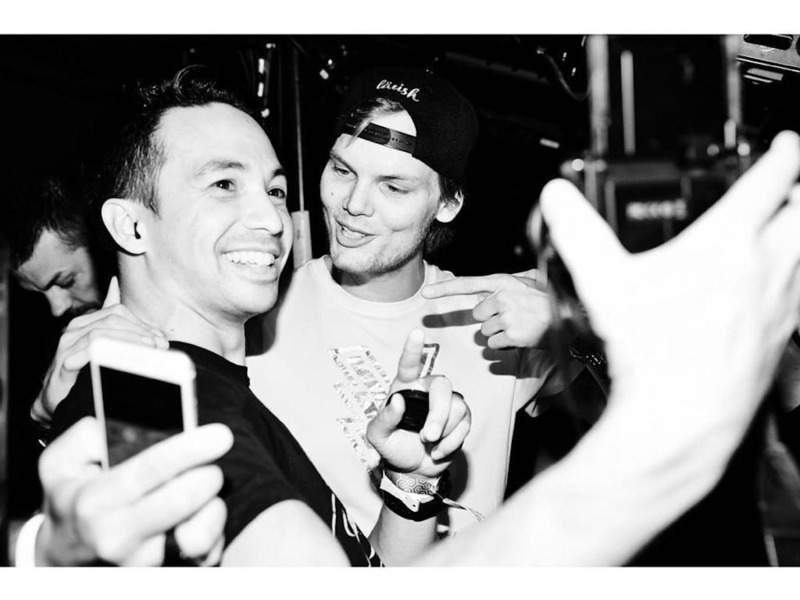 Heijns added that the first gig Avicii ever played was for Luke at an event in Miami, and he went on to release under Luke’s record label. In 2016, Luke wrote an op-ed for Billboard calling for fans to pay attention to what was going on in the industry after Avicii announced his retirement from live performances following health issues related to alcohol and exhaustion. It was at that moment he envisioned his friend, then 26, joining the infamous “27 club” of music and film stars who died at that age. 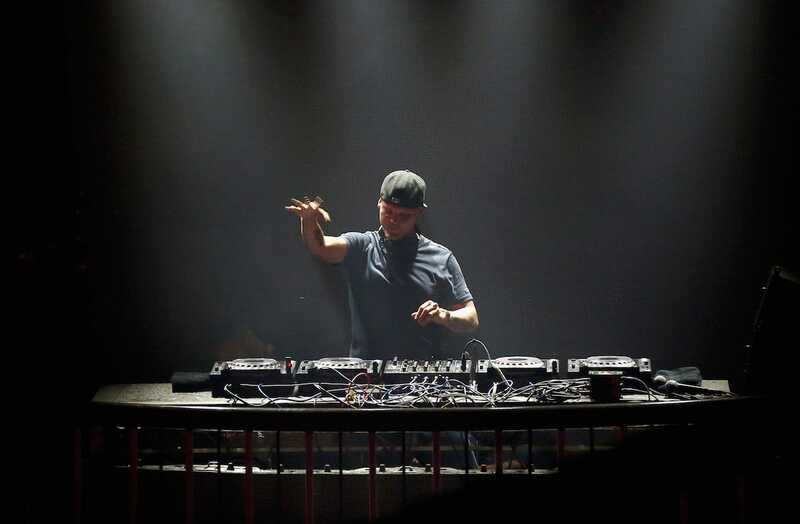 In his Billboard piece, he called Avicii’s choice to retire “a brave decision – to walk away from the light, in both figurative and literal senses” – but unfortunately it wasn’t enough. Avicii may not have joined the “27 club,” but he was found dead at the age of 28. 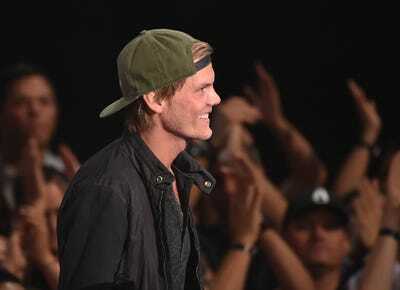 Kevin Winter/Getty ImagesMusician Avicii accepts the EDM Song of the Year award for ‘Wake Me Up’ onstage during the 2014 iHeartRadio Music Awards held at The Shrine Auditorium on May 1, 2014 in Los Angeles, California. 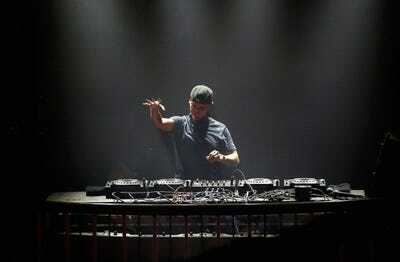 Of Bergling’s death, Luke told me: “It’s been a massive shock. Avicii was one in the making for years, [but] all of us pretty much ignored that. Last month, rapper Mac Miller died of an apparent overdose at the age of 26 following struggles with substance abuse – and he’s the latest in a line of artists to do so. “If they’re feeling low or if they’re feeling anxious, they might attribute it mistakenly to, ‘oh well, I’ve just been partying very hard, I’m hungover, whatever’, so they may not even realise that actually there is an underlying problem here,” Manicavasagar said. John Parra/Getty ImagesLaidback Luke performs at Y100 IHeart Media Lounge at W Hotel on March 18, 2016 in Miami, Florida. Luke told me that by age 31, he had incorporated drinking into his schedule more and more until he got his second burnout. “There was never time to have a hangover,” he said. “I remember sitting on aeroplanes, standing in lines at airports either being drunk or hungover, coming home to my wife and two small kids, a grumpy and stressed out dad because of the hangovers. 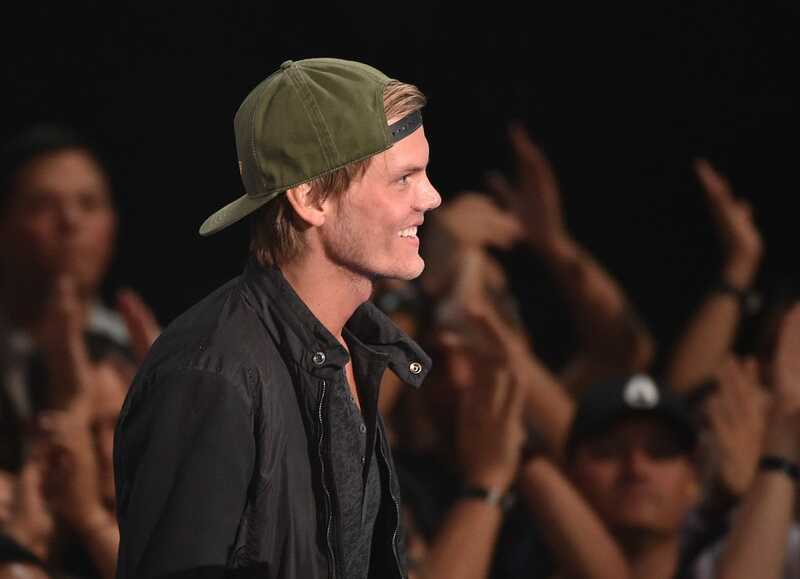 Heijns believes the industry has been changing since before Avicii’s death – but his passing has “accelerated” the process. She said the main difference is how people “immediately act” now when someone speaks out about their mental health. Since Avicii’s death, Luke added that people in the industry have also been coming to him to talk about their mental health problems. Still, there’s a long way to go in changing behaviours when it comes to the “always on” attitude that exists in the music industry. “If you start where it’s expected for you to be always on, that’s a vicious cycle,” Heijns said. “You can’t always be on 24/7, for years on end. It’s something you can do for a period of time if you’re working towards something, but the way I approach it, your job should be structured in a way where you could do it in normal office hours. She added that it’s her responsibility to let her team know it’s ok to say no – and to lead by example by personally trying to switch off. Still, she acknowledges that while she has years of real life experience, she shouldn’t be the sole person providing mental health support. “I don’t think there’s enough people out there that make an artist feel comfortable enough to open themselves up to help… It doesn’t sync up with what their reality is,” she said. Luke also believes that artists need more formal support. Rich Polk/Getty ImagesDJ Avicii performs onstage during Rolling Stone Live SF with Talent Resources on February 7, 2016 in San Francisco, California. One way Luke is trying to slow down his pace is by cutting back on the time he spends on social media. “I used to say, whenever I’m on vacation, keep on emailing me, [but I] can’t do it any more,” he said, adding that he’s also taking a day off from responding to Twitter and Instagram comments. A study last year found that Instagram was the worst social media platform in terms of the impact it has on the mental wellbeing of young adults – and Luke said it has an effect on everyone, no matter who they are. “I get confronted with loads of things and comments, obviously a lot of positivity as well, but it’s easy to get ticked off by someone who has a bad day and feels like they need to make a comment at you,” Luke said. He added that it’s a mistake to see the life someone appears to be leading in the public eye and assume they must be happy. “It’s easy if someone makes a tremendous amount of money and has all the success they have ever dreamed of, to say ‘why are you complaining,’ not acknowledging their struggles,” he said. “I, for one, would love for people to understand life isn’t about money and fame, it’s [people like Avicii] that give us the proof that we’re being fooled by society to work as hard as you can to make the most money you can to be as famous as you can.